CHAPEL HILL, North Carolina (WTVD) -- The NCAA case tied to North Carolina's multi-year academic scandal has hit yet another delay. Spokeswoman Joanne Peters said in an email Wednesday that UNC hasn't submitted its response due this week to five charges after consulting with the NCAA and is "awaiting guidance ... on a new schedule'' from the infractions committee. That comes as the attorney for a woman at the center of the scandal said he is working with the NCAA to set up an interview after she had previously refused to speak with investigators. Deborah Crowder, a retired office administrator in the formerly named African and Afro-American Studies (AFAM) department, filed an affidavit late last week defending the quality of courses offered while attorney Elliot Abrams wrote a letter saying the NCAA had falsely charged her with wrongdoing. Abrams told The Associated Press on Wednesday that the NCAA contacted him Friday, the day after he sent those documents. "We are working with the NCAA to obtain access to the investigative file and develop a schedule for her to be interviewed," Abrams said. "We understand it's a big development in the case, and look forward to an opportunity to answer questions the NCAA may have." It's unclear how long the delay will be. In an email to the AP on Wednesday afternoon, NCAA spokeswoman Emily James said UNC had requested "a short extension'' to its 90-day deadline to file a response before Crowder's affidavit emerged. 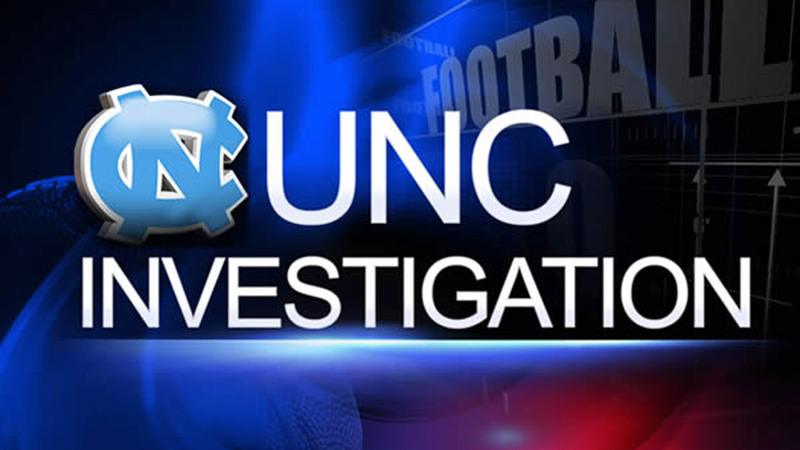 UNC faces five top-level charges, including lack of institutional control, in a case that grew as an offshoot of a probe launched in 2010 into the football program. The AFAM irregularities are focused on independent study-style courses misidentified as lecture classes that didn't meet and required a research paper or two while featuring significant athlete enrollments. The NCAA first charged UNC in May 2015 and the school had 90 days to respond, but that process paused shortly before that deadline when the school reported additional information for the NCAA to review. It took eight months for the NCAA to send a second Notice of Allegations (NOA) in April 2016 and jump-start the stalled case. Then, after UNC filed its response last August, the NCAA took the unusual step of scheduling a hearing solely to address procedural issues UNC had raised -- such as challenging the NCAA's jurisdiction by saying its accreditation agency was proper authority to handle the matter. The NCAA then sent a third NOA in December, which reworded an improper-benefits charge tied to athlete access to the courses that had been removed between the first and second versions. Initially tied to conduct by academic counselors, the charge now focuses on Crowder and former department chairman Julius Nyang'oro. Crowder cooperated with a 2014 investigation by former U.S. Justice Department official Kenneth Wainstein into the AFAM irregularities. His report estimated more than 3,100 students were affected between 1993 and 2011, with athletes across numerous sports accounting for roughly half the enrollments in the problem courses. Wainstein's report focused blame largely on Crowder and Nyang'oro, noting Crowder graded papers despite being an office administrator and not a faculty member.